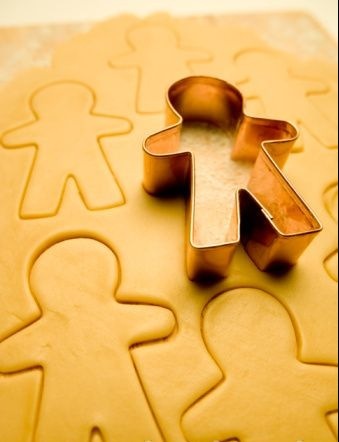 Like cookies shaped in a certain way, we are seeing our nation similarly shaped to CCSS’s mold. Greetings, Warriors. As we all have seen by now, the media has put its spin on the recently signed new law known as ESSA (Every Student Succeeds Act). We have seen legislators released statements claiming victory, too. Warriors, we have led the charge across the nation to point to the language of the new law, as well as other aspects of this CCSS based education reform. We, more than likely, have even had some of our family, friends, neighbors, and nay-sayers buy into the false claims being so rampantly spread since the rushed hack job in D.C. occurred. My fellow Warriors, we CANNOT give up, I’ve stated this in previous posts. Other anti CCSS Warriors, as well as others who have been fighting, have also repeated this truth. It is only since the ESSA was signed that I have been contacted with folks who have not been aware up until now, that they, too, want to know what is in the law’s language which will point them to the ‘untold’ items embedded that will further the CCSS Machine’s alignment of American education. As in other previously published posts, I have shared with you the WIOA (Workforce Innovation and Opportunity Act) embedded ties, the CTE (Career Tech Education, which is an adult version of the CCSS) embedded ties. I haven’t stopped digging through this new law’s language. Why would I do this? Isn’t it a moot point now? NO!! As I have shared with you in the past, the more we know what is embedded, and will be enacted in each of our states, the more we can raise awareness to the CCSS aligned efforts! The more we can have the proof to show others that all is NOT what has been ‘sold’ to them via all those pro CCSS spins we have seen in the past few days. It is STILL very important to know that what is taking those of us still combing through the language (which our legislators should of done BEFORE voting on it) many hours to complete, we will discover the truth and share it. However, when we share the truth, we must be careful HOW we share it. It would be a great idea to have the portions of the mammoth document with what you are sharing highlighted. It would be even more helpful when you share those highlighted sections, that you have any other documents which support your points of concern. It certainly will help when pointing out a law that is violated, or a state statute which is being violated. Remember, if we are to continue to fight, we must fight well; with the right information given at the correct time. Otherwise, our very valid points will miss their mark. All this being said, what do I have to share with you this weekend which will help? Read on, my Warriors! a) Look at the top of the pdf and see if you can locate the magnifying glass emblem. If so, click on that to enter a word or phrase you are seeking. (For example, when I wrote the first article featuring each page number you could find “Workforce” used in the ESSA, this was a tool that made wading through over 1,000 pages quicker. I simply got each page number, then went back to read the context the term was used in). b) If you cannot find the magnifying glass, use your ‘control’ key and the “F” key at the same time. You should be able to see a search box appear. The ‘previous’ and ‘next’ tabs will help you jump forward or backward to where the term you are searching for appears. Again, once you have the page numbers, go back and read the context. In very rapid response to the ESSA being signed into law, the White House has released an official report. The report is slam full of all the (by now) well publicized pro CCSS points. Why? We must remember, all the CCSS alignment fits right into the White House’s education reform. By using a pro CCSS document (as I have done many times), you can easily locate the fallacies, as well as see how slick the agenda to reform American education is being packaged. Before I leave this Report, did you notice the presence of RttT? Didn’t we hear speeches passionately given when ESSA became law that RttT waivers were a thing of the past? Yet here, we see the RttT is still in play in a new way! That should be a big piece of evidence to use from a state level point of view. Knowing I had already used ‘Workforce’ and similar terms, I wanted to see what the search of the ESSA’s confirmation language would bring me with the term ‘alignment’. What you can expect from me in the very near future posts is this: more documents which you can use to see how, now more than ever, we need the information of the roots planted BEFORE ESSA was enacted as the educational law of the land. Why? If you listened closely to both the celebratory speeches of Senators Alexander and Murray, they revealed the ESSA was not a few months in the making, but 5 years! Many of the documents the White House Report (see above) are anywhere from 2010 to today. However, many are featured by the WH, you can bet there are plenty more NOT featured. Have no fear, Warriors, I have quite a few we can glean from.